MTS India, the CDMA mobile service of Sistema Shyam TeleServices Limited (SSTL) has rearranged its portfolio of MBlaze tariff plans. MTS MBlaze is the EVDO-based wireless internet service which can offer download speed upto 3.1Mbps and upload speed upto 1.8Mbps. Currently MBlaze service can be availed in selected cities of Rajasthan, Tamilnadu, West Bengal & Sikkim, Kerala, Maharastra, Bihar and Jharkhand, Karnataka and Haryana. MTS also reduces the price of the plug-n-play USB Devices. Premium one with a micrco SD card slot is now priced at Rs. 2299 and the basic one is priced at just Rs. 1999, making it cheapest EVDO device. Note that MTS is asking its all MBlaze customers to download new firmware of the devices for Windows 7. MTS is now offering free browsing on Yahoo India, MakeMyTrip.com and Wikipedia.org for lifetime; while IndiaTimes Shopping and CricInfo will be free up to 31st March, 2010. 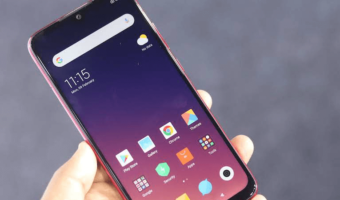 As a promotional offer MTS is offering free Encyclopedia Britannica and 4 Games along with 15GB free data usage for 7 days in all circles, except Maharastra& Mumbai where MBlaze users can enjoy it upto 15 days. MBlaze comes with lifetime validity; you can use it at Rs2/MB without any validity voucher and recharging Topup of Rs 299,699 and 999. If unused for a period of 180 days, MBlaze service will be deactivated temporarily. If you are recharged with a validity pack, you can enjoy post-free usage charge in validity period at just 50p/MB! MTS also introduces some longer validity packs – for 90 days, 180 days and 1year pack. Recharge is available on online or MTS retail shops. For details SMS ‘DATA’ to 56060 and MTS Mblaze executives will reach you. MTS does a fine job by reducing price of devices to reach greater range of people. But as private GSM operators going to enter in 3G space with data services, who will invest on long validity pack of MBlaze? 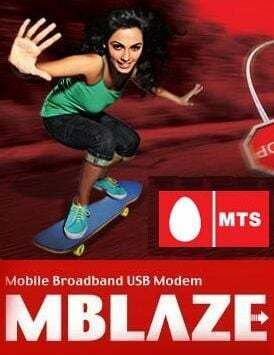 Even MTNL & BSNL both offering unlimited plans at just Rs2500 on 3G, there will be a few taker of MTS MBlaze. MTS even does not have pan India coverage! I’m using MBLAZE V.MTS.ZT.2792.02 .. I recharged it with 96rupees..thats 750mb for 24 hours..I have used 750mb..and I got a message that the speed will reduce from now..can anyone say about the current speed,will I be charged for that, and anything more..